At the invitation of the Mayor of Municipality of Centar, Andrej Zernovski , the mayor of Xicheng District from Beijing, Mr. Wang Shaofeng led an official delegation to pay a friendy visit to the Municipality of Centar-Skopje from 26th to 27th April. 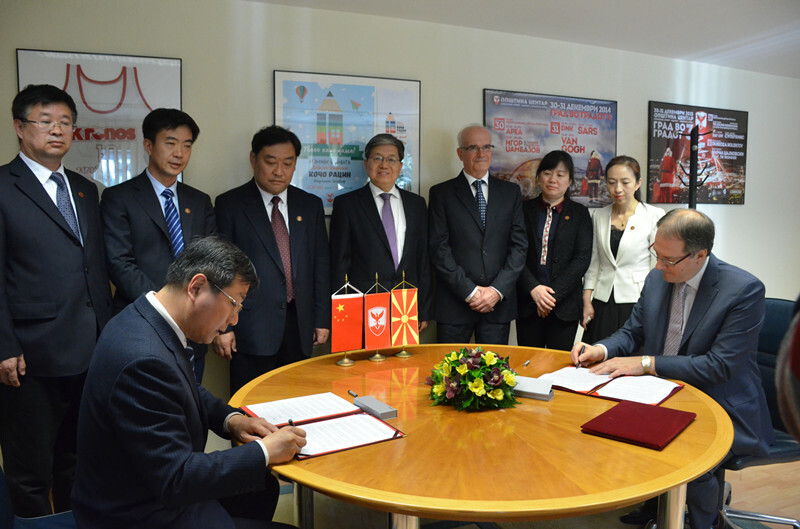 On 26th April, the two Mayors signed the Agreement for Improvement of the Friendly Exchange Relationship between Xicheng district of Beijing, People's Republic of China and Municipality of Centar-Skopje, Republic of Macedonia. Both sides believe, this agreement marks a historic beginning of substantial cooperations. - We are in Macedonia for the first time, we are very happy and grateful to have the opportunity to visit Municipality of Centar. We care greatly about the cooperation with the Mayor Andrej Zernovski, because this way we establish an even greater cooperation between the two countries, said the Mayor of District Xicheng, Wang Shaofeng. - This is not just a protocol visit. This means the beginning of a great friendship and cooperation in the areas of economy, education and culture. We agreed to invest in the future and therefore, the next visit will be with the children of the two municipalities, said the Mayor Zernovski. 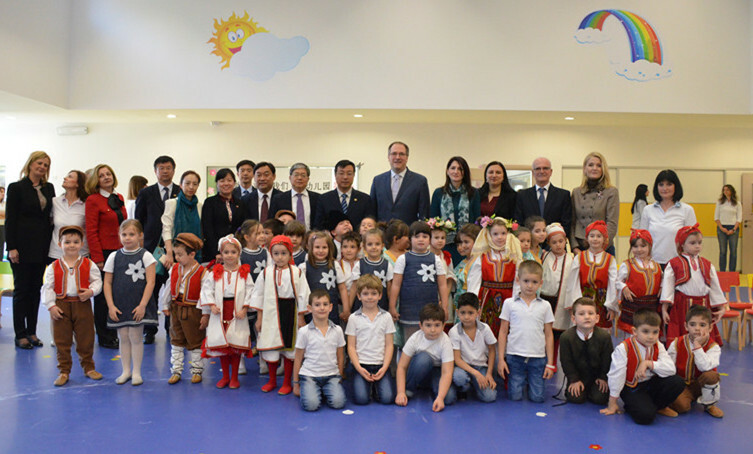 By their visit to the kindergaren "Koco Racin", the Mayor of Centar also pointed out that, in this mandate, priority is given to the children and therefore, instead of building a new administrative building, a new kindergarten was built in Kapishtec, and it will begin the building of the most modern primary school in the region. In the beauties and functionalities of the Kindergarten "Kocho Racin" were also convinced the guests from China, and the children performed a special program for them. 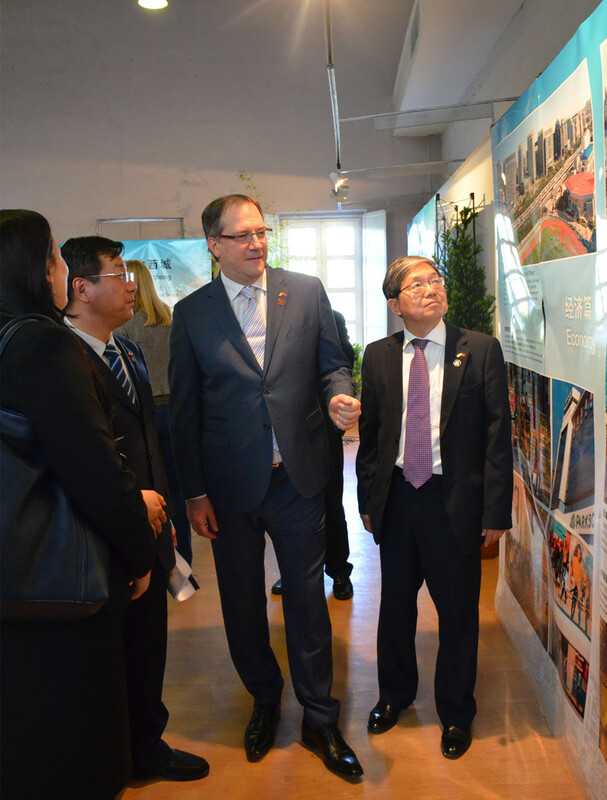 The two mayors also opened the photo exhibition on theme: "Ancient Beijing, Charming Xicheng". Over one hundred guests from Macedonian political, cultural, and education area as well as the representatives from the Chinese companies attend the opening ceremony. They had the chance to get a general idea of the business, financial, social development of Xicheng District through the exhibition. The six-member delegation is in a two-day official visit to the municipality Center, and is accompanied by the Ambassador of the People's Republic of China to Macedonia, H.E. Wen Zhenshun. 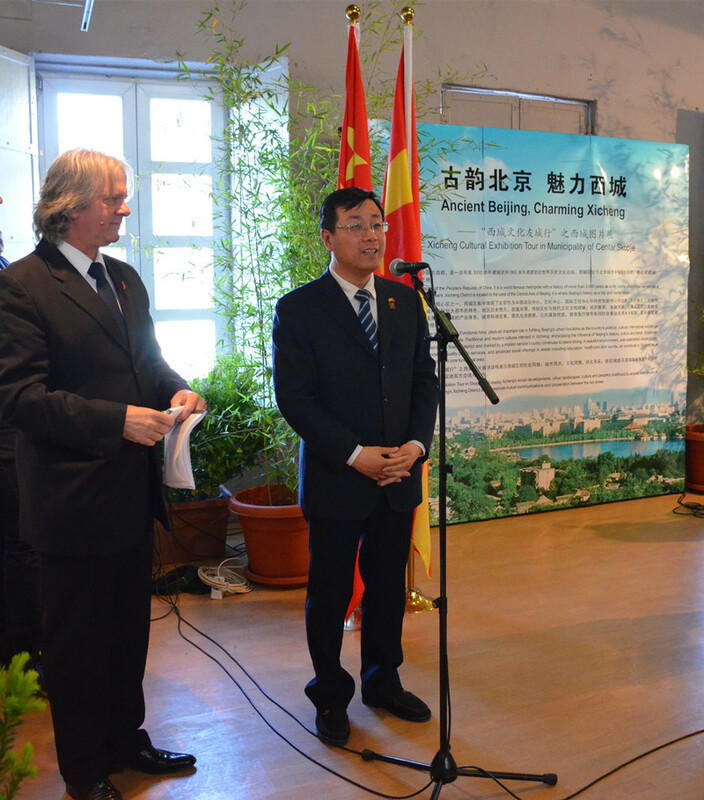 Within the visit, a visit to winery "Kamnik" was made, where the Mayor Wang Shaofeng wrote: "I leave my heart in this beautiful city". The District Xicheng is a central district in Beijing and it is an administrative, cultural and political center. In this District are the headquarters of the Government and all the state institutions. The District Xicheng has an extensive international cooperation, with 19 cities and municipalities in Europe, USA, Asia and Oceania. The guests from Xicheng did not hide their excitement and pleasure of their visit in Macedonia and Municipality Centar.